Open from dusk to 9:00 p.m. on select nights from November 30 to January 5, 2019. In historic Fort Henry, the spirit of winter has found a place to live. Every night it howls softly into the wind, a spell concealing its beauty from anyone but those with a warm heart. Find your path through an enchanted land, across a frozen landscape, to reignite your winter spirit. 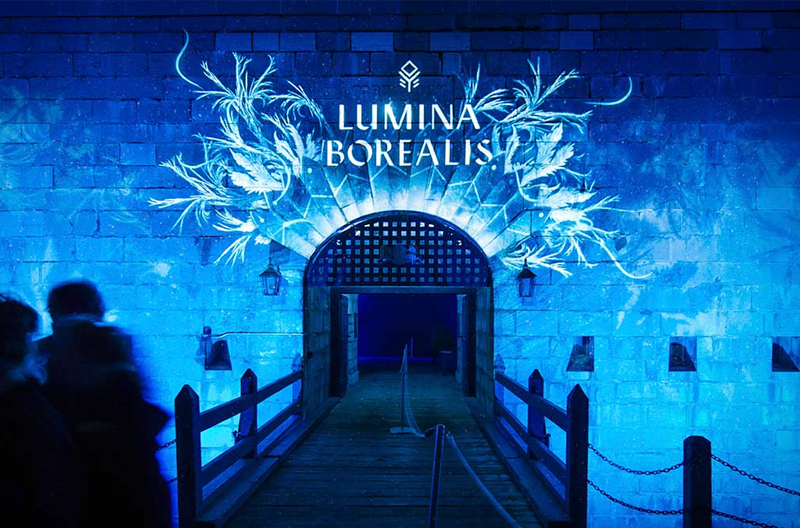 Lumina Borealis is an immersive multi-media, multi-sensory experience that you won’t want to miss this winter. Find your path through an enchanted land and across a frozen landscape, to reignite your winter spirit. This attraction is family friendly and enjoyable for all ages! Stay warm with hot snacks, freshly baked on site by Fort Henry’s baker, and create lasting memories with family and friends on this night walk. Address: 1 Fort Henry Dr.
My kids loved the tour and really enjoyed the experience of seeing their community from the trolley. Thank you for making their day a day to remember! You'll always find something unique at Waterfront Gifts & Apparel. They have a good selection of Kingston apparel, souvenir items, and one-of-a-kind gifts. My friends and I did a walking tour with Angela and she was amazing! She was upbeat and funny, and she was able to tell me things I didn’t know. I will definitely be spreading the word. There is a flavour for everyone's taste here in Kingston, with plenty of local restaurants to try. A burger from Harper's or fish and chips from Dianne's make for a delicious lunch or dinner in YGK. What a cool, family-friendly event for winter here in Kingston! My family enjoyed our experience at Lumina Borealis, and the kids had a blast interacting with the light effects and animations. Explore Kingston, Ontario as it transforms for the winter with an All-inclusive Attractions Pass, including Lumina Borealis, Improbable Escapes, The VR Hut, Kingston Trolley Tours, and More.